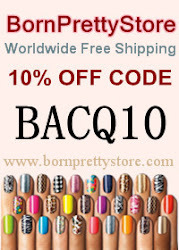 The polish in this post was purchased by me. All opinions are my own. I stumbled across this polish in Rite Aid while on my quest for the L'Oreal jellies. Teal Dimension is from the L.A. Girl 3D Effects collection. It's my first L.A. Girl polish and now I want more! L.A. Girl Teal Dimension, two coats. No top coat. 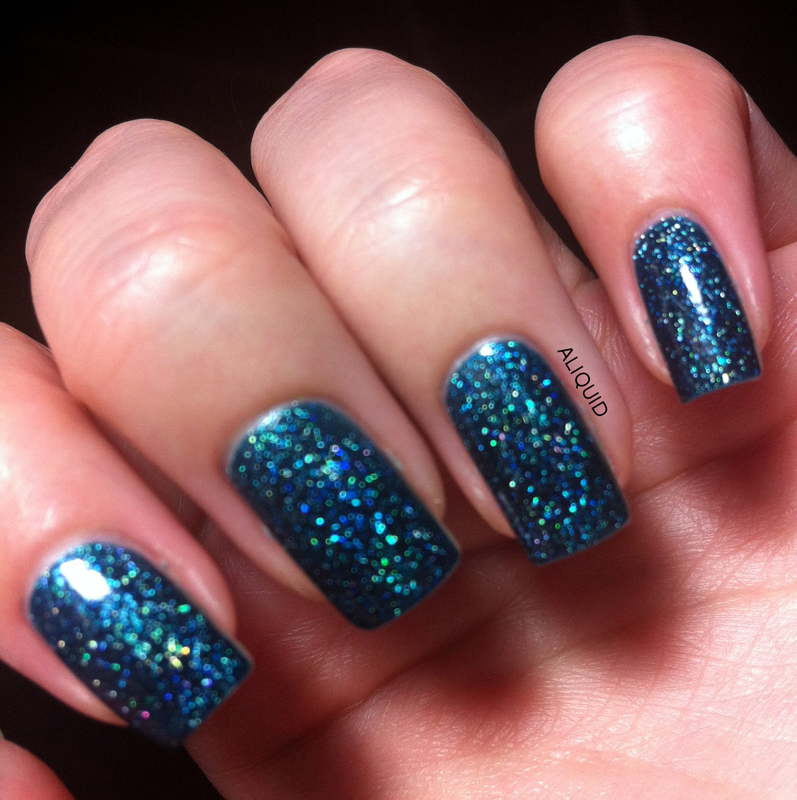 This polish has a blackened teal jelly base with lots of holographic shards of glitter. The holographic effect isn't as intense as with a linear holo, but it's still pretty loud! In direct sunlight my nails looked freaking amazing, but it's all cloudy and rainy today, so I can't get a pic. Despite being a jelly, it's dark enough that two coats were plenty. The formula is nice, no complaints. I was afraid that cleanup would be hard because a) it's a blue polish and b) it's full of glitter, but it was actually pleasantly easy. So pretty! 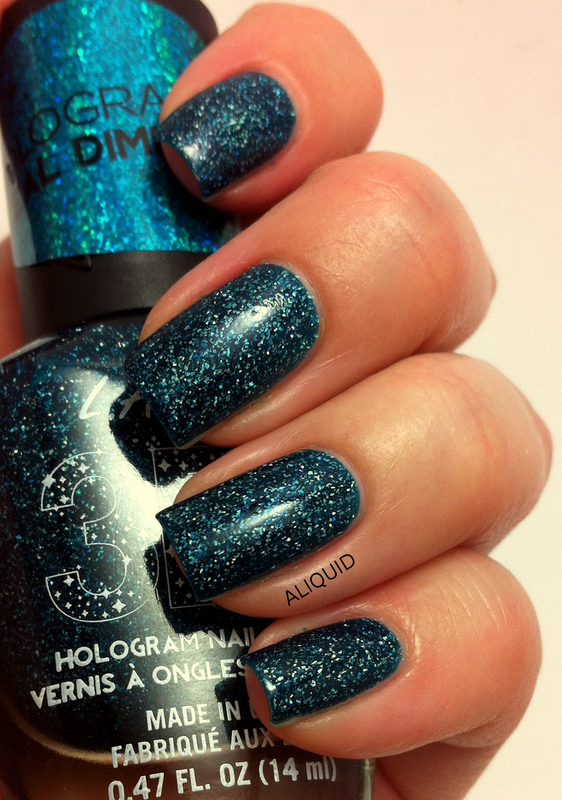 I'm in love with holo polishes, and I'm really tempted to grab some more of this collection! It's only $5 for 14 ml on L.A. Girl's website, and you can also find it in stores like Rite Aid.